While its been a struggle for Akon to recreate the massive success he had in the early turn of the decade in the States, over seas, he is still a phenomenon. 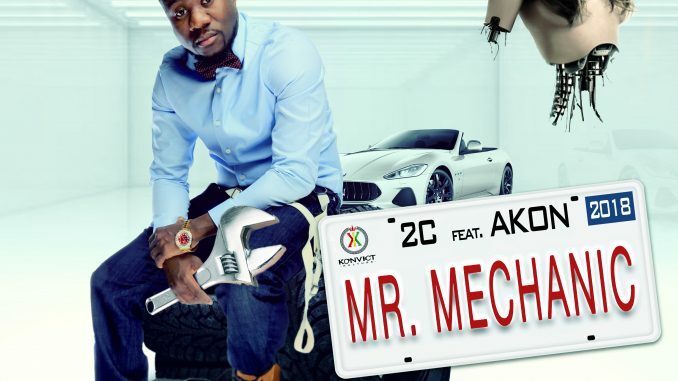 Linking up with new Liberian sensation 2C, Akon assists on the release a new single/video, “Mr. Mechanic”. “Mr. Mechanic” is an afropunk vibe that shows the two stars hosting a beautiful house party filled with tons and tons of models pulling up in some of the sickest lowriders ever seen. A king on his throne, Akon shows off a few moves as 2C leads the way with the ladies hearts on this new hit. Akon appears on the track couresty of his Konvict Kulture imprint.